Hello sunshine! Let your date nights hot up with Philippa Stewart of The Perfect Proposal’s top tips for dating in spring. Pack a bottle of bubbly and take a walk (or stroll) somewhere beautiful. 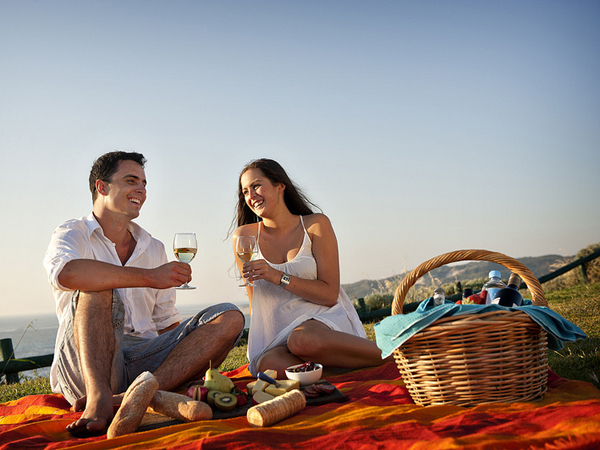 Stop at a viewpoint and watch the sunset with a glass of champers in hand. Exercise increases the feelgood factor (it releases endorphins) and raises your energy levels. Happy in love, happy in nature. Plan something you know your date may like. Most men won’t say no to craft beer and November is the month local breweries make their dreams come true. Find out where local breweries may be popping up or which beer festivals are worth visiting. If craft beer is not for you, there’s always something romantic about wine or champagne tasting. While the sun is shining enjoy a bike ride for two. With cycling on the up and the growing popularity of retro bikes and cruisers, bike routes are plentiful and the areas that accommodate cycling double as a sightseeing adventure. Take a wine tour on your bike with Winelands Experience (http://www.winelands.travel/cycling). They offer breakfast tours, a wine tour by bike, and for the daring a hike, bike and picnic tour. If you’re not in the Cape, find a bike hire shop in your area – in Jozi we love Uncle Merve’s or in Durban hire a bike from Retro Bike Hire at the Sundeck at Suncoast Casino & Entertainment World, and hire a Cruisers to ride along Durban's Golden Mile (call 078-843-8936). So you like him or her but you’re not ready for a one on one? Group dating is safe and fun! Invite one or two of your closest friends and let your date do the same. Book a table outdoors – a live performance is always a winner as it gets the group in the mood and keeps things festive. Keep an eye on Computicket for what’s on in your area. Philippa from The Perfect Proposal. The Perfect Proposal helps to conceptualise and set up personalised dates. Contact them if you need inspiration for proposals, anniversaries, engagement parties, renewing of wedding vows or just a special evening out.